Trails Illustrated Springer & Cohutta Mountains Trail Map [ti777] - $10.95 : Trail Explorers Outpost, Keeping the Adventure Alive! An abundance of recreational opportunities abound in the Chattahoochee National Forest, just north of Atlanta. National Geographic’s Trails Illustrated map of Springer and Cohutta Mountains delivers unmatched detail and valuable information to assist you in your exploration of these regions of the forest. 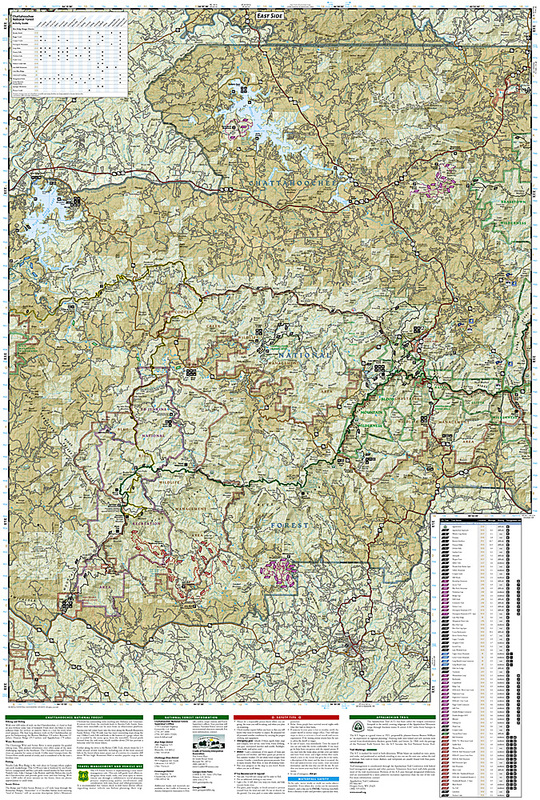 Expertly researched and created in partnership with local land management agencies, this map features key points of interest including Blue Ridge, Nottely and Conasauga lakes; Fort Mountain and Amicalola state parks; Whissenhunt Mountain; Coosawattee Wildlife Management Area; Ed Jenkins National Recreation Area, and more. Narrow down the best places to visit according to your needs and interests with the handy activity guide. An extensive trail chart will help you choose a trail that’s right for your activity level and recreation use whether you’re traveling by foot, horse, mountain bike, or motorized vehicle. Miles of trails are marked according to their use including the Appalachian, Benton MacKaye, and Pinhoti trails. Scenic byways are noted for those wishing to take in the scenery by car. The map base includes contour lines and elevations for summits, passes and many lakes. Helpful information on Chattahoochee National Forest, Appalachian Trail, safety tips and more is included as well. Some of the many recreation features noted include boat ramps, river and fishing access, interpretive trails, campgrounds, picnic areas, and scenic viewpoints. 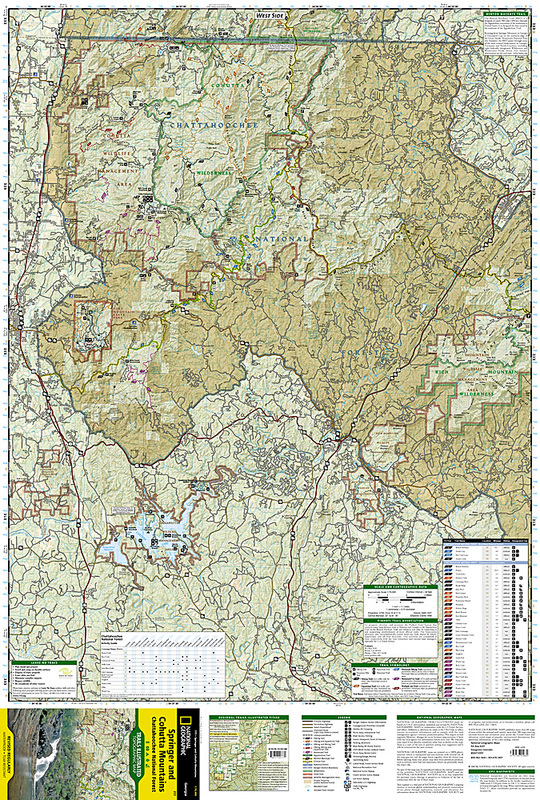 Other features found on this map include: Amicalola Mountain, Big Frog Wilderness, Blood Mountain Wilderness, Blue Ridge Lake, Brasstown Bald, Brasstown Wilderness, Chattahoochee National Forest, Cherokee National Forest, Cohutta Mountain, Cohutta Wilderness, Ivylog Mountain, Nantahala National Forest, Nottely Lake, Pinnacle Mountain, Rich Mountain Wilderness.